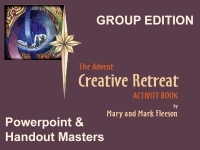 For Advent Mary has created 36 new images to compliment the readings in the Church of England Lectionary. 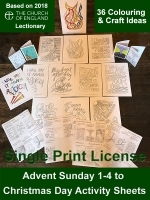 The images cover The First to Fourth Sunday in Advent, Christmas Eve and Christmas Day. The Bible passages are taken from the Church of England Lectionary 2018-C but cover common readings used throughout Advent and subsequently could be used in all Churches. 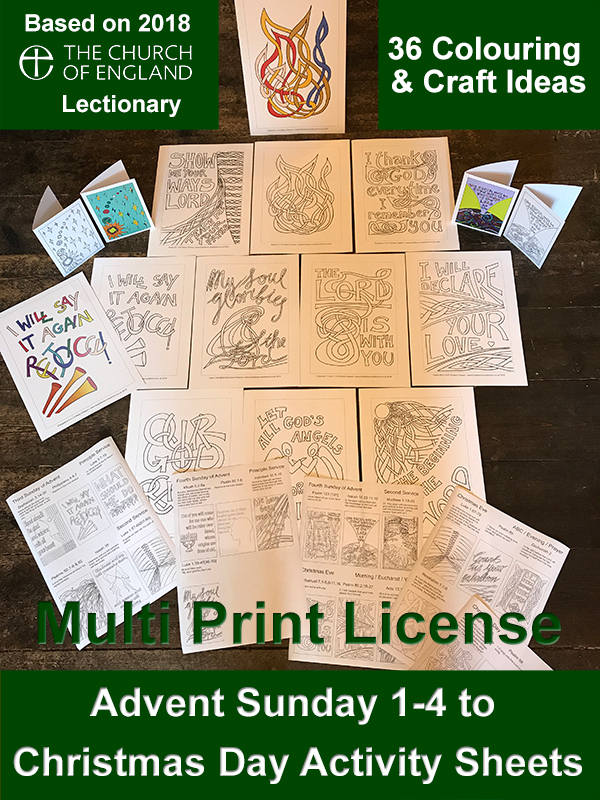 As well as providing these as colouring poster images we have created templates for printing as cards so you can colour your own Christmas card. The full readings and images can be previewed by looking at the turning the pages version shown below. We are providing the images as digital images (via Adobe PDF file) so if you want you can print them smaller or larger depending on your group size. You can also buy just the digital file for printing at home with a specific license for your own use. Your church could host a simple soup/salad/sandwiches meal each week during Advent and have conversation and colouring before or after eating together. Please note... This product is for a PDF by email/download containing print masters for printing the images up to A4 size. It comes with a license to produce as many copies of the colouring pages / greetings cards as you wish.